This Week on Iowa Ave.
March blasted through and left us with about 7 inches of snow on the ground. We got to work as soon as it melted. 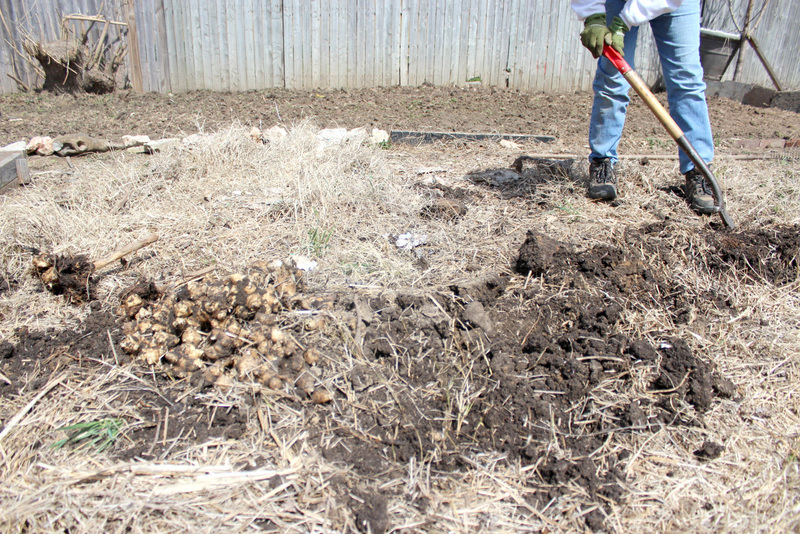 On the agenda: major expansion of the Iowa Ave. garden. Ideally we would’ve completed this last fall, but we ran out of time. Last year we planted tomatoes, cucumbers, and beans directly in the ground in the back section by the fence. No beds, no tilling, and the eventually the grass totally took over. So this year we’re determined to nip that problem in the bud by completely eliminating all the grass before we plant. 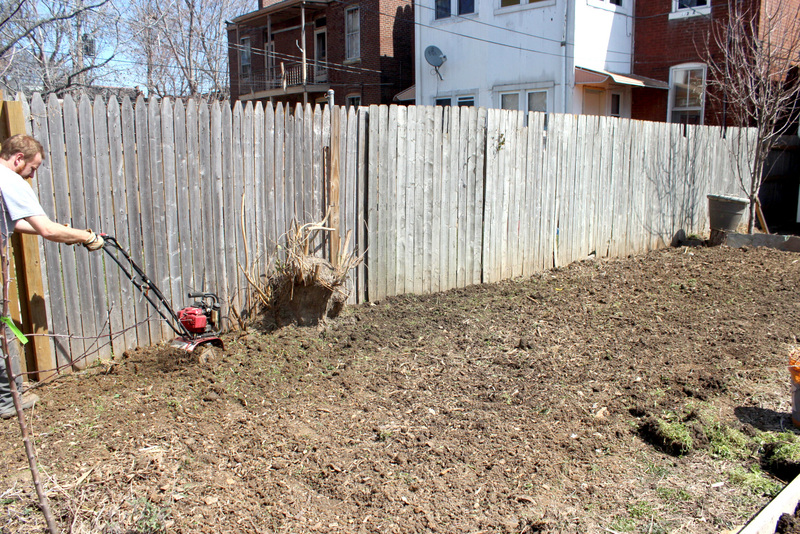 The grass is a formidable foe, and we’ve battled it before. 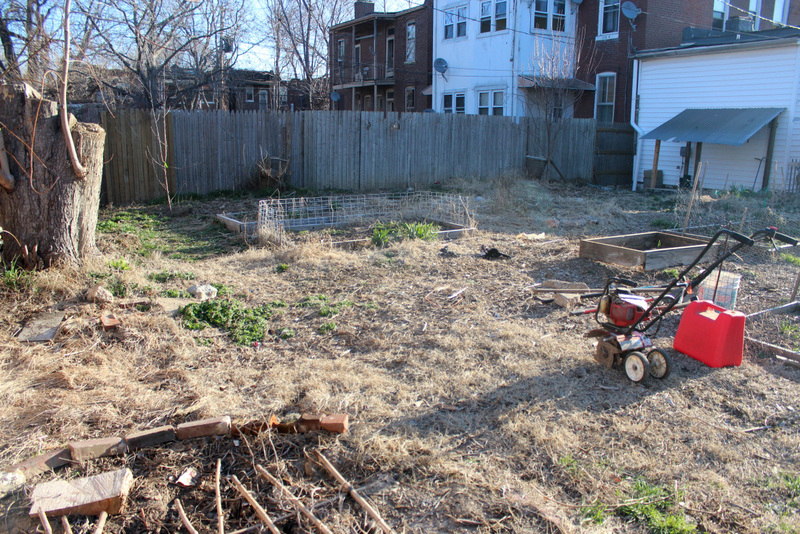 This section was buried under a tarp, burlap sacks, wood chips, and containers of tomatoes for nearly an entire year. 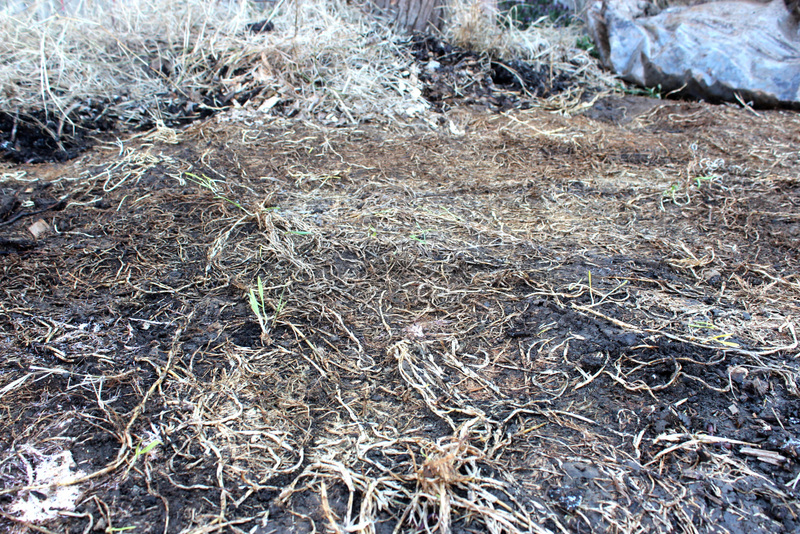 We never expected to see such a thick mat of grass roots under the tarp after we pulled it up! 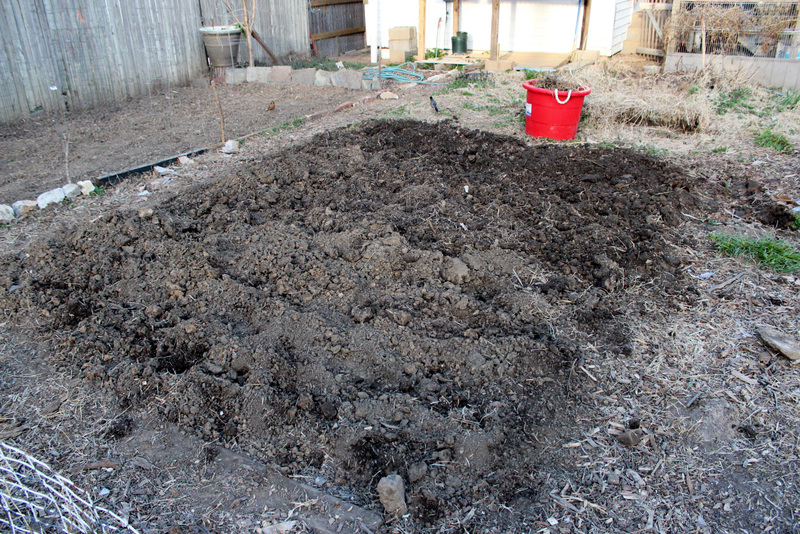 So instead of just tilling, we had to hand-dig as much of the root mass out as possible. 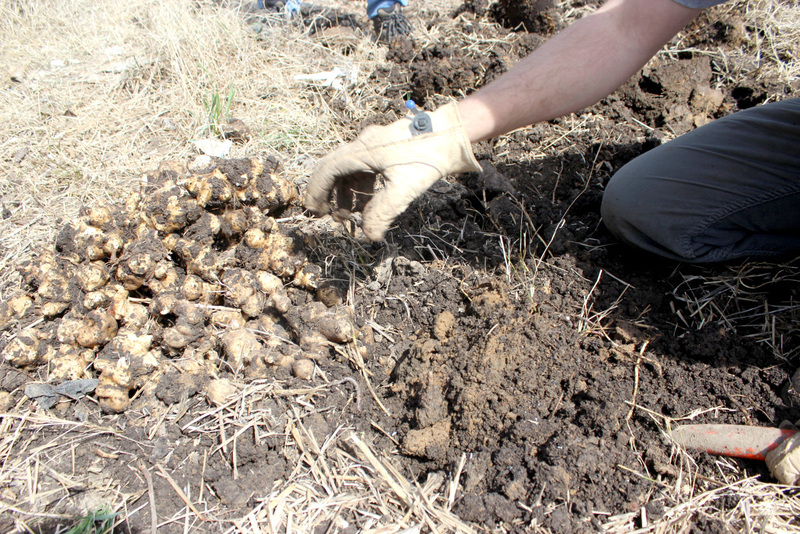 To do this, we had to dig down a foot or more, physically pull out all visible roots and then sift through the resulting mounds of soil to ensure no roots were left. We’ve found that even the tiniest piece of root, no matter how dry and brittle, will regrow and eventually generate a field’s worth of grass. The back section was ready to till after a couple hours of digging. After tilling, we added a rock border to retain the soil and started a chicken wire fence to keep out chickens and dogs. All said, tilling this back section added about 300 square feet of planting space; we’ll be planting tomatoes, peppers, basil, and as many flowers as we can fit. Next, we tackled the middle section of the yard. Previously this had been home to our keyhole garden, which contained sunchokes and melons last year (along with a truly despicable amount of grass). We love the idea of a keyhole garden and hope to install another one someday in the future. We dug up the sunchokes first and ended up filling a 5 gallon bucket! We had only planted a handful of little tubers, so this harvest was a welcome success. There were two other beds that we moved out of this area, too, out of which we transplanted garlic, mint, and strawberries. I worked on digging up this middle section myself for a whole day and didn’t even finish! 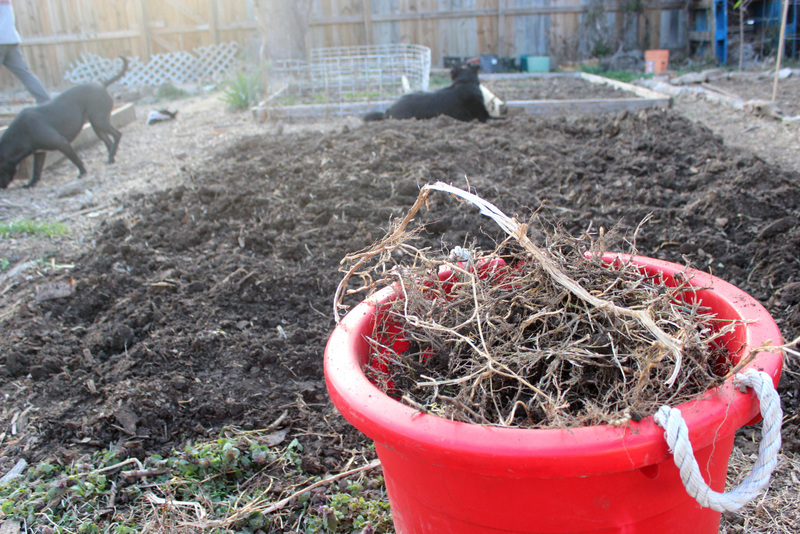 Three-quarters of the way through, and I had filled this giant red bucket with roots and emptied it four times. With Eric and his mom’s help, we finished digging today and then quickly ran over the area with the tiller. We had basically already tilled it by hand. Luckily St. Louis city provides yard waste dumpsters, so we can take the roots completely off site. 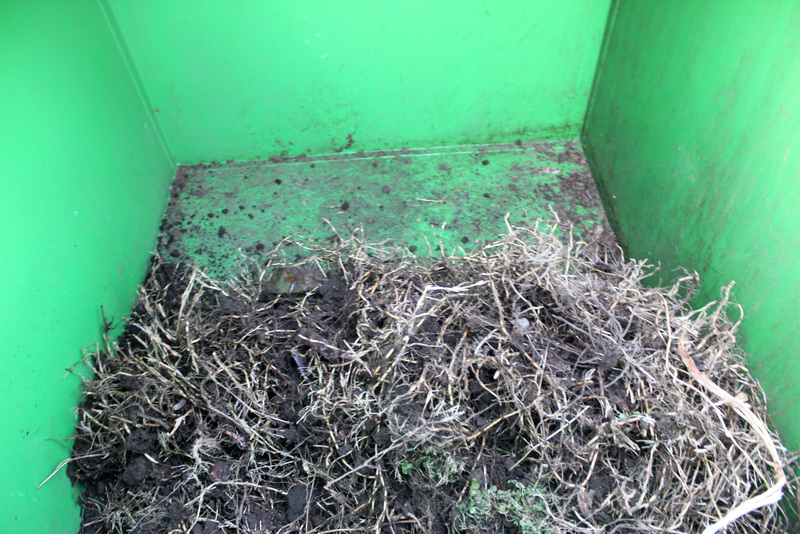 At the end of my time digging yesterday, the yard waste dumpster had already been emptied once and was half-full of roots. By the end of our workday today, the dumpster was completely full. That’s right, an entire dumpster full of grass roots. 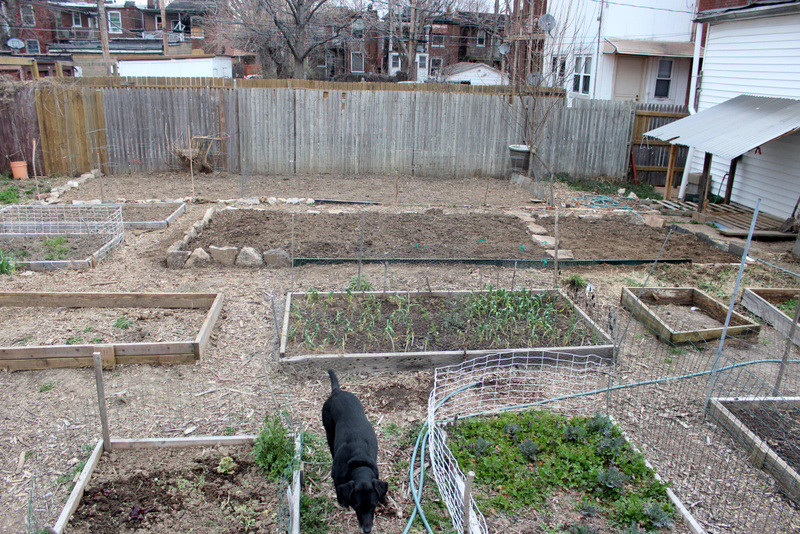 The newly tilled middle section added another 200 square feet of planting space to our garden. Like the back section, we also bordered it to retain the soil and will need to fence it in eventually. We added a stepping stone walkway to separate the left 2/3 of the space from the right 1/3 so we can plant different crops. *plus many other things already growing (hops, sunflowers, etc.) and more to be inter-planted. With all the work we put in this week, we have high hopes for this garden this year. 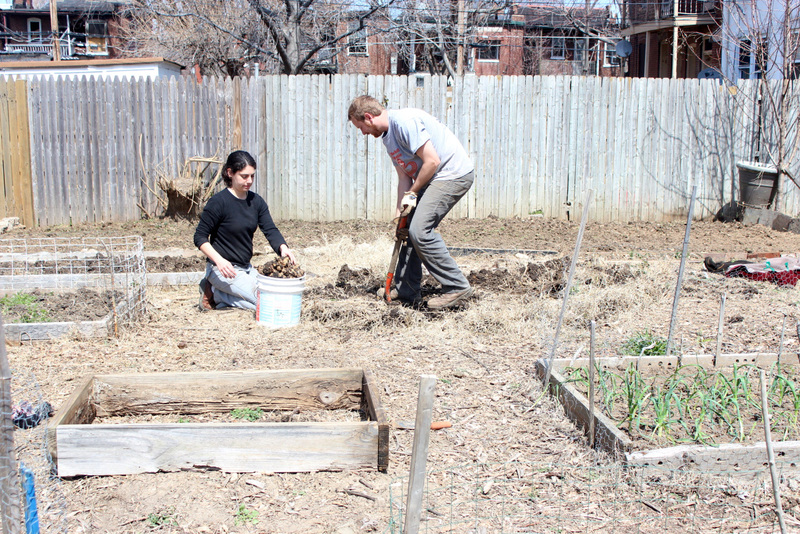 Eric is planning to install a drip irrigation system (easier said than done, he says). That way we can devote our time in the garden to more productive activities, like truly keeping the grass at bay.